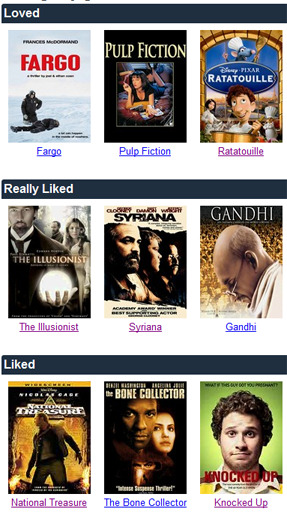 FeedFliks is now trying to help you access and share more of your ratings. Earlier, most FeedFliksers saw no more than 20 of their most recent Netflix ratings. Remember: Your Netflix movie ratings are private by default so if you want to share them, you’ll need to explicity make this page public by going to http://feedfliks.com/sharing.